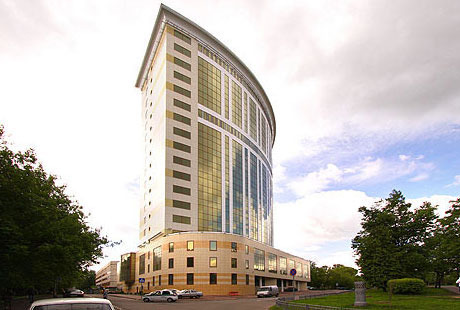 On March 7, 2012, EBS Partners AG (Zurich, Switzerland) announced the opening of their branch in Moscow, specializing in the consulting services and the deployment of the business applications for logistics management, including transportation operations management: Oracle Transportation Management (OTM); Warehouse Management Systems (WMS); Business Intelligence (BI); and a number of the Oracle E-Business Suite related modules for Supply Chain Management (SCM) and financial management. AsstrA manages transportation orders using Oracle Transportation Management. The international transportation and logistics holding AsstrA created the new operating system for transportation orders management. The core of the system is the solution Oracle Transportation Management (OTM), bringing together the world’s best practices in the field of logistics companies’ processes management. During the first project phase, the single centralized platform was deployed for transportation operations management in the transportation holding company’s head office in Zurich, Switzerland, and in its Belarusian branches in Minsk and Brest. The commercial operation started in autumn of 2010. The second phase implied the deployment of the system in all the offices of the AsstrA holding in 10 countries. The new corporate system will optimize the management of the transportation operations, and provide the opportunity to develop AsstrA technologically for more rapid and qualitative analysis and evaluation of the promising trends and markets.